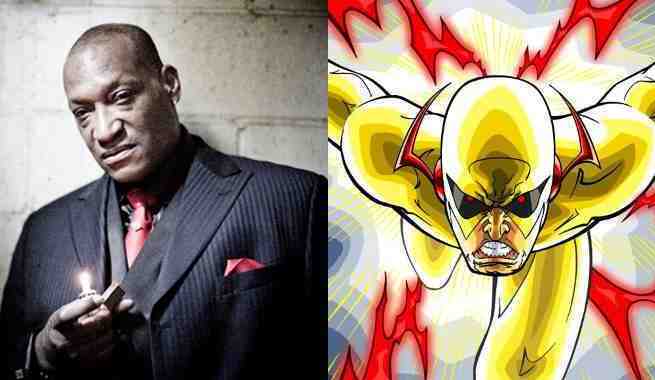 Candyman star Tony Todd has been cast as the voice of the villain Zoom in Season 2 of The Flash. “Last year, with the Reverse-Flash, we just modulated Tom Cavanagh’s voice, and this year we wanted to do something a little bit different,” executive producer Andrew Kreisberg tells Variety. “Part of the mystery of the season is who or what is underneath the Zoom outfit, and so we wanted to do something like James Earl Jones as Darth Vader — this iconic voice coming out of this mask. Last year, we thought of the Reverse-Flash as a speed warrior; this year, Zoom is like a speed demon, and no one does demon-voice better than Tony Todd. Describing Zoom’s goals and motivation, Kreisberg says, “For us, the best villains are the ones who don’t have megalomaniacal ‘I want to rule the world’ motivations. Last year, the Reverse-Flash had a very simple goal which was, ‘I just want to go home, and if people need to die or cities need to get wasted for me to get that, so be it.’ And Zoom has a very similar, personal goal this season… simple and easy to understand, and very primal. And just as with Wells last year, Zoom doesn’t care who gets hurt or what gets destroyed in the service of him getting his goal. The title of Zoom’s first episode takes its name from the first ever comic book crossover between Barry Allen and the Golden Age Flash, Jay Garrick. The Flash Season 2 premieres Tuesday, Oct. 6 at 8 p.m. on The CW.